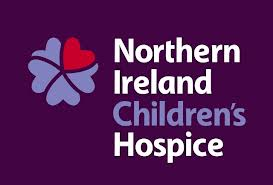 In recent weeks supporters have enjoyed Match Day experience tours at Windsor Park with ALL the proceeds going to the club’s official charity - the Northern Ireland Children’s Hospice. 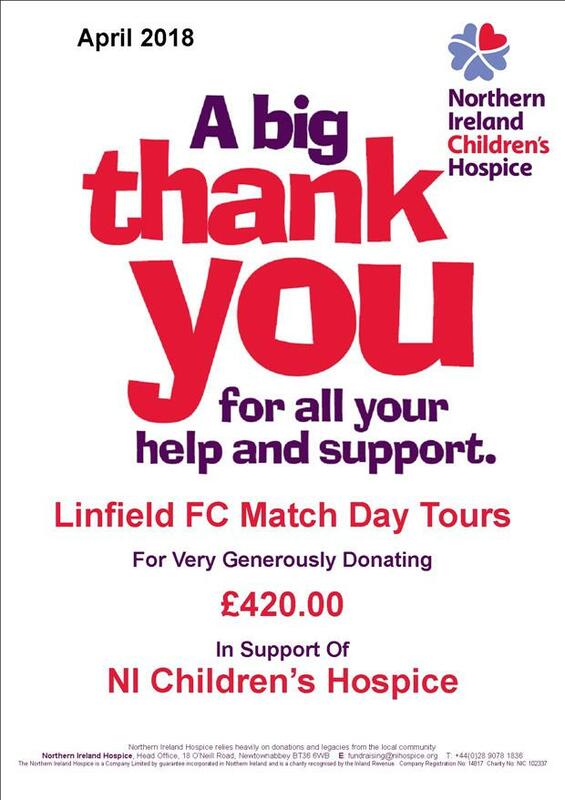 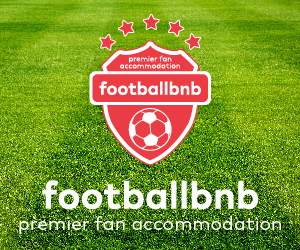 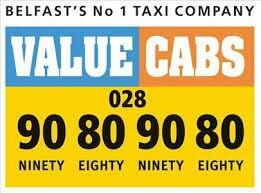 The tours raised the sum of £420 and it is hoped to run similar tours on certain Match days next season. 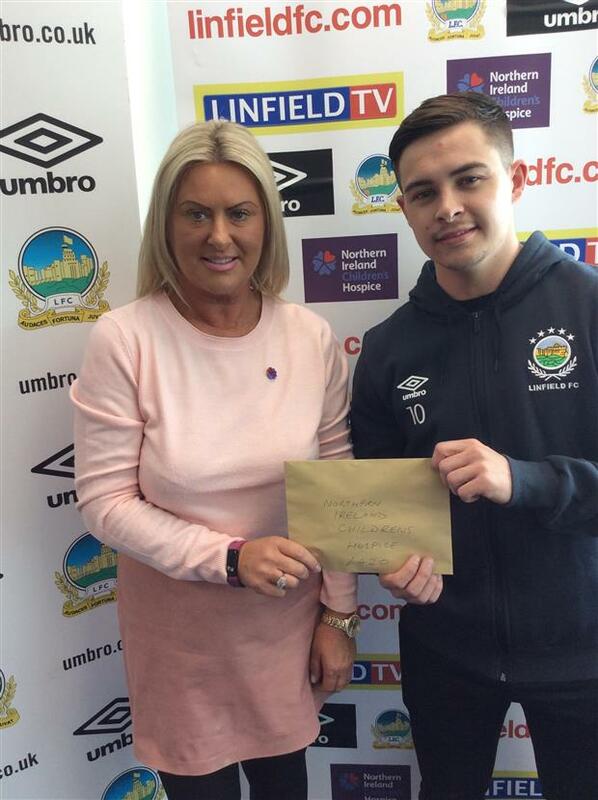 Noreen Kennedy of the Children’s Hospice called at Windsor Park on Wednesday to receive the £420 donation. 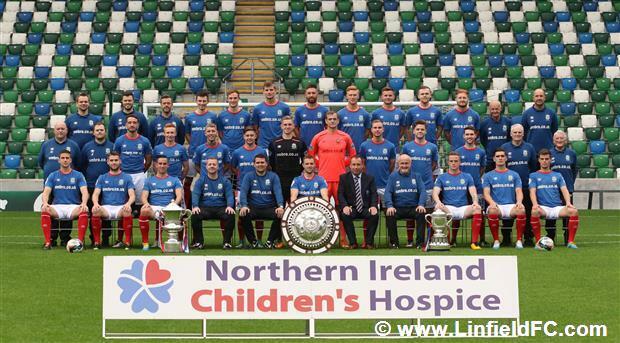 Making the donation on behalf of the club was Linfield star Jordan Stewart. 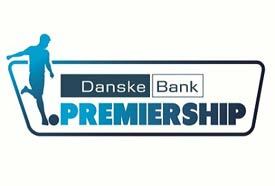 This £420 donation when added to the £633 raised in a Windsor Park bucket collection on Saturday past means that a figure in excess of £1,000 has been donated to this club’s official partner charity in the past week. Thank you to all our supporters who assist with our fundraising on behalf of this wonderful and very deserving charity.